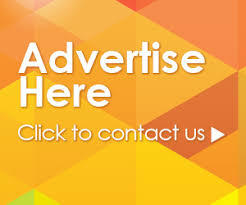 If you are a lover of Apple iPad and happen to take interest in building websites, Apps or create interfaces etc. 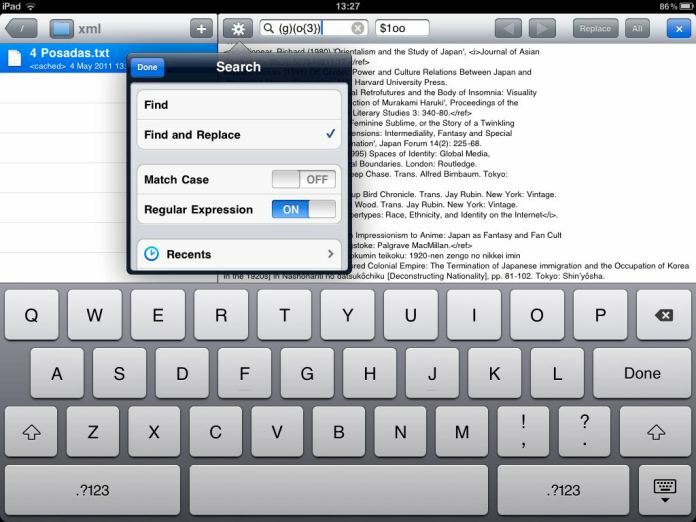 then you have a whole world of Apps to choose, which would let you just do that right from your iPad. You can count on these free Apps to make you more productive in many ways. Whether you are on the move away from your desk or office, you can always count on these Apps to get some work done creatively right from your iPad. 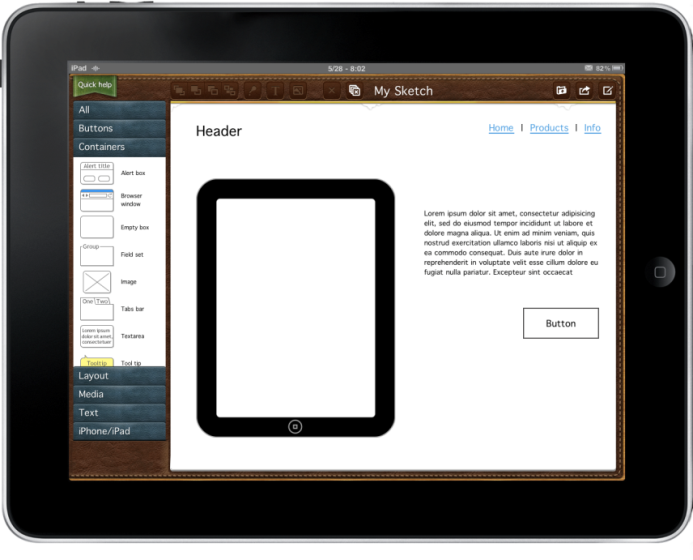 So we have picked 8 Apps for iPads that are our favourites for Web designers. Read on to see our top picks. 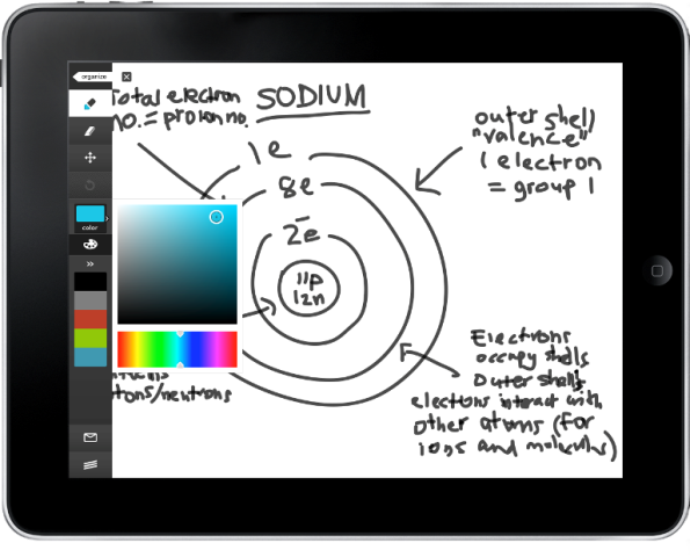 If website sketching and creating App-interface like iPhone and iPad Apps are of your interest then SketchyPad is here for you. This App is here to make the life of designers, programmers, and interface designers much easier. Easy and intuitive interface and the options of a variety of stencils will help you to mock-up any web site and Apps interface. If you thought designing a website with a fully featured website development environment on your iPad would be impossible then Gusto is here to just do that. 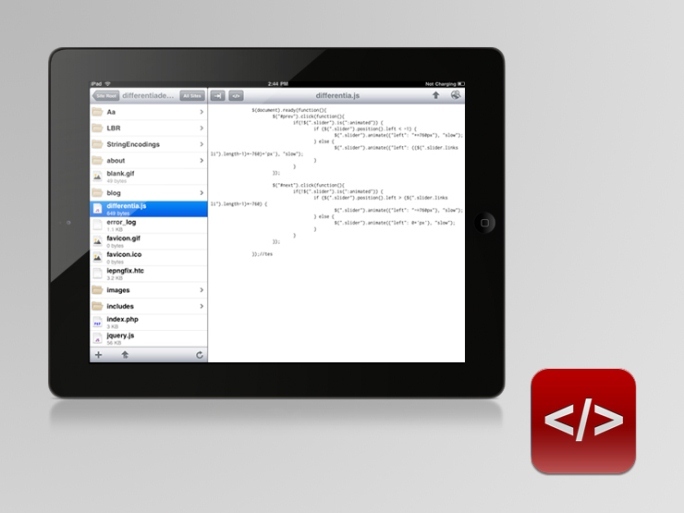 It is a fully featured and exclusively made for the iPad with a focus on workflow and usability. Air Display App lets you to use your iPad as a wireless display for your Mac OS X computer. 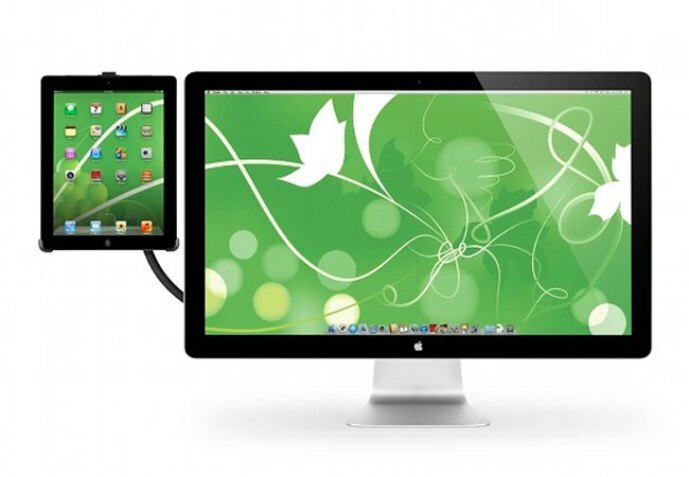 It allows you to position your iPad next to your computer, simulate windows onto the computer screen, and interact with the windows as you would on any other computer display. Check important web statistics from one centralized location that are important to you with App Ego. It lets you to quickly view the number of visits to your website (including hourly, daily and monthly counts), lets you feed subscription totals and changes, and shows how many people are following you on Twitter, and much more. 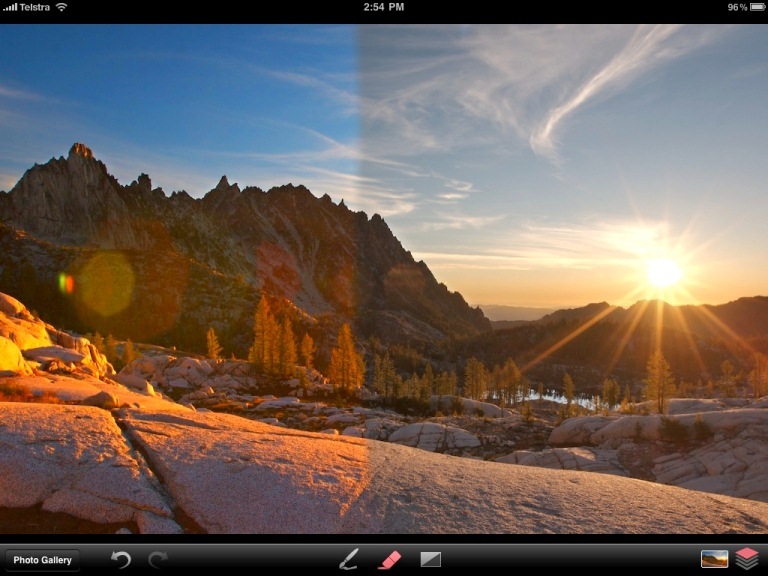 Masque App is a must have for photo editing enthusiasts. It lets you to import images right from your iPad, Flickr and from Facebook albums. You can create layers with brushes, edit your photos with ease and it also has a multi-touch gradient tool that is a joy to use. Create instant sketches, mock-ups, diagrams and much more with the powerful Freeform tool, which is a vector drawing tool for your iPad. You also get the option to Export your drawings via email in JPG, PDF, or PNG format, and you can also save it to your photo library. 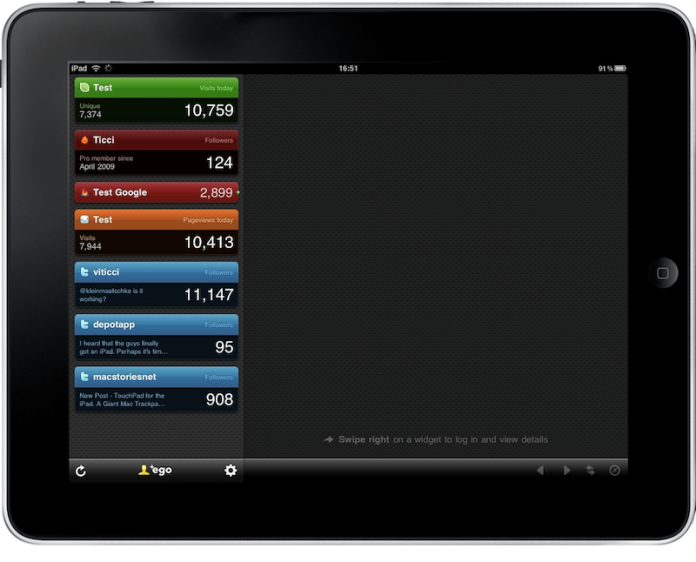 If Google Analytics is what you are looking for your iPad then you should check out the Analytics HD. 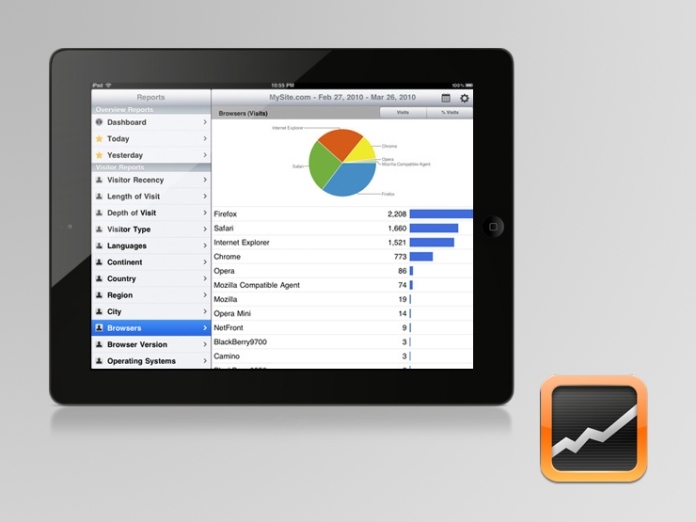 You get both options of quick overview on reports in a glance or a complete extensive detailed report for analysis. 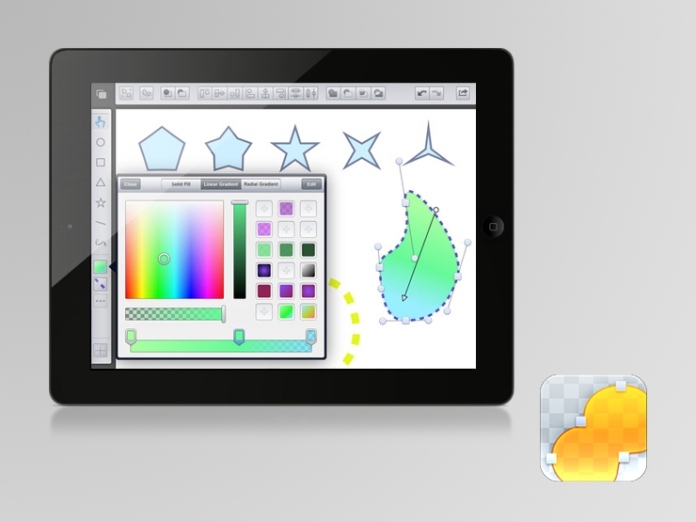 Adobe Ideas is a digital sketchbook that lets you capture and explore ideas anywhere you go. Adobe Ideas can be your ideal companion if you want to design professional applications from Adobe, which also includes Adobe Illustrator and Adobe Photoshop software. 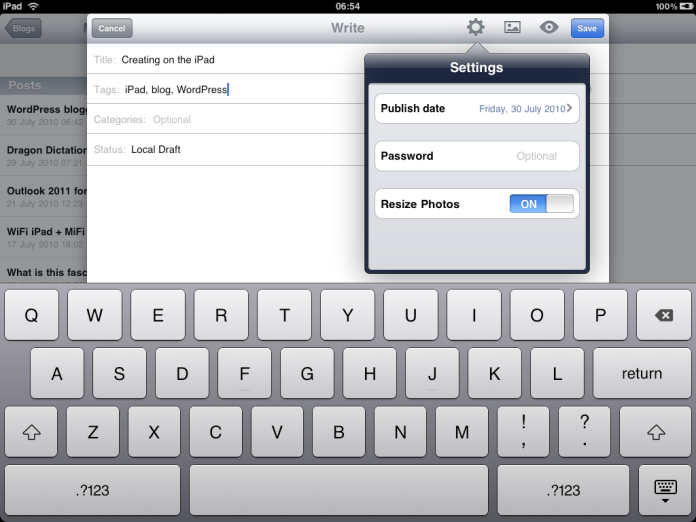 If you like to blog or use WordPress on your iPad then ‘WordPress’ for iPad is what you need. It lets you moderate comments, create and edit posts and pages. To get started, all that you need is a blog on WordPress.com or a hosted blog running WordPress 2.9.2 or higher. We hope you liked our top picks of iPad Apps for Web designers. Thanks for reading our article.